I have to start this off by saying this is in no way expert advice. I am still in the middle of learning and adapting to a new mindset. This is not something you can do over night or force yourself to just accept and change. All it truly takes is the desire and the heart to do better and be better and over time with challenges- you will see the reward! A little background: I have shared and talked a lot about how we came to the conclusion that Dash needed a little extra help with his speech but even more than that I needed A TON of help. 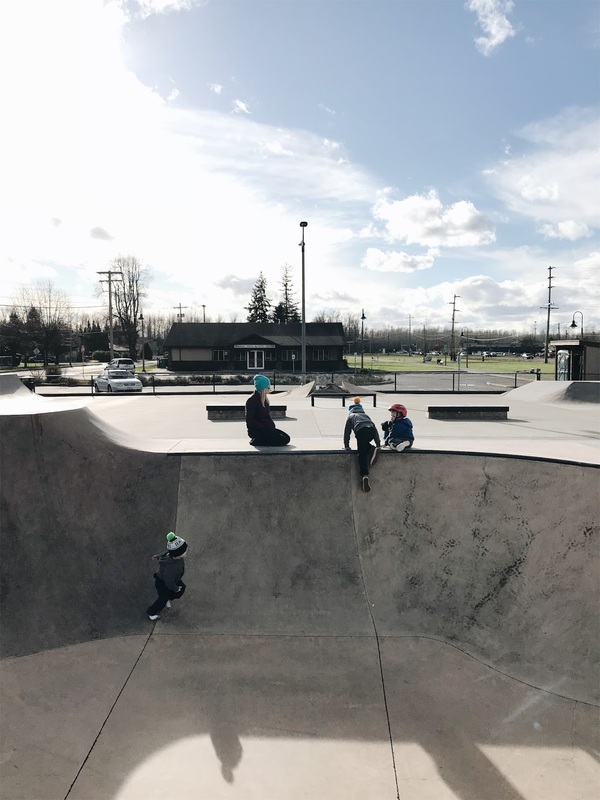 I felt myself spiraling out of control, spanking, crying, throwing temper tantrums and closing myself off to daily activities that felt impossible. Dash was responding to this in just the way you would expect. His behavior escalated he started biting, hitting, not sleeping, and regressing. As things got worse I decided whatever I was doing was absolutely not working and I needed help no matter what it was. We went to an evaluation and the therapist at CTC determined Dash would benefit from home visits twice a week of Occupational and Speech Therapy. Now I had no idea what this would look like. Dylan and I were scared and felt maybe there was something wrong. I decided to have a healthy perspective of it and see it for what it was. So many kids struggle in different areas and speech was extremely common. We were tackling this early and the most important part of all was that we would be able to help Dash they way he needed it. 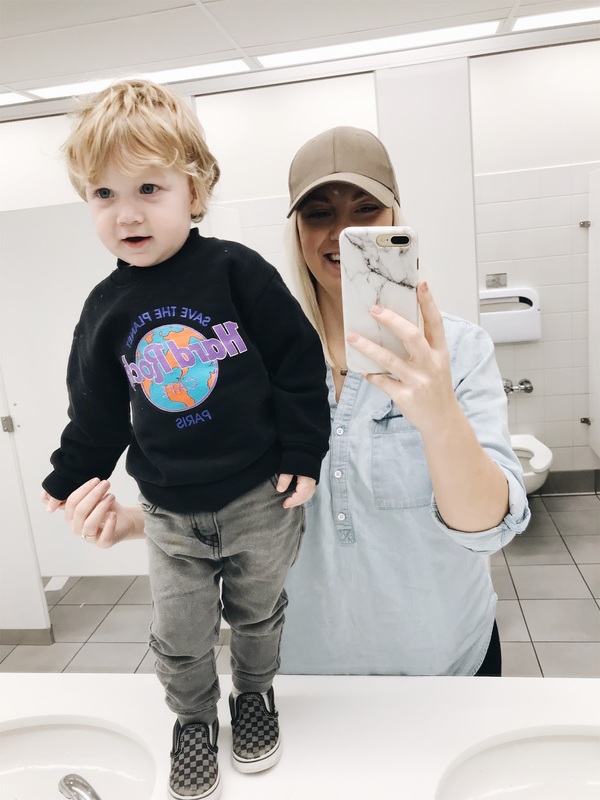 Everything else was completely normal but the energy in our home and the way I was handling and parenting my kids was back firing and causing issues my kids didn't even have before. It's important to note that I stay home with our kids so I DO have the time to make this my number one priority. I made it my job to make a healthy routine for us all, to really educate myself and to find what I was internally struggling with and tackle that as well. I think this is the reason therapy has been so progressive for us so quickly as well. (If you work it's okay too. You can still make a world of a difference with your interactions with your kids if they are struggling and encourage their care taker to model the same thing you are working on. Insist on it to see positive change.) So needless to say I made it my mission to be dedicated to changing myself more than Dash. I couldn't stop him from throwing a temper tantrum but I could respond to the way I reacted from then on out. I could set myself up for success by choosing to be calm, involved, and avoiding high stress situations ( like the store during nap time for instance). I started loving Dash the way he needed it. I recognized we both needed to get out everyday so I made it part of our schedule to get up and get him in a routine and excited about going to do something. I recognized that naps were CRUCIAL for him and made it a priority everyday to not skip this and to give him the full time of rest he needed. A combination of therapy, routine, and patience has changed everything for us and I am not ashamed to admit I did not have the tools to do it alone. My kids are so different. I never had any of these concerns with my first child. But I knew that with Krew being different from Dash, older, and different personality.. that surely he must need to receive my attention and love in a different way than Dash. What does this mean for Krew, my older son? This means that I now have more patience for him as well and recognize when something is not working for HIM. We do everything as a family but I try to cater to his needs differently. Putting Dash to bed earlier so I can sit down and read with Krew and give him the one on one attention he desperately needs. I've learned to explain to him what works for Dash and to recognize when Dash is unable to play nicely and when it's not fair for Krew to try and have to entertain him or parent him. I've slowly been trying to give Krew the tools to handle Dash when he gets upset with him. I've also made a point of giving Krew more responsibility to make him feel important. I've turned threats into positive direction. Instead of saying "You better not hit your brother or else!" into "Krew do you think you can tell Dash that you didn't like that so he knows it's not nice?" 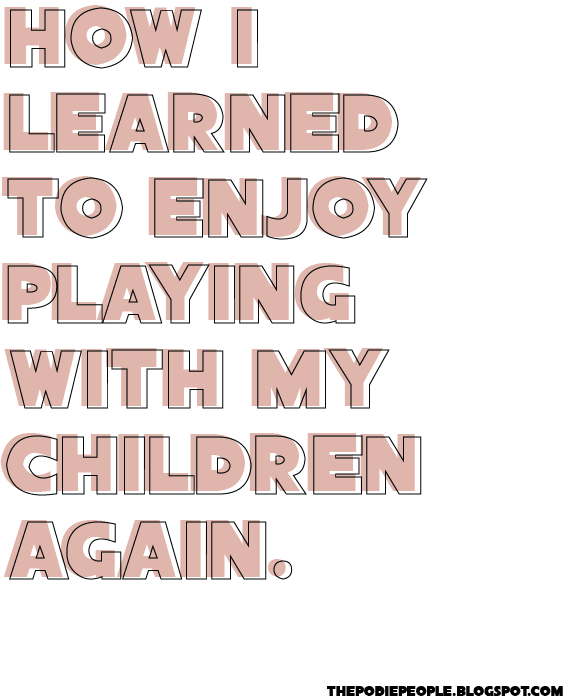 How Did I start to enjoy playing with my kids? I started recognizing everything that they did as being a normal reaction for a child. I also made it important to recognize that I could not force myself to enjoy something. I needed to know my own limits as well. I do best with routine and if I feel over stretched or tired I am not the best mom I can be. I started MAKING time to do things for myself. 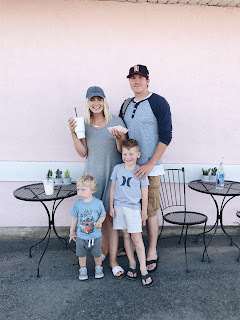 I felt drowned in motherhood for years and finally recognized it wasn't selfish to leave and workout, to date their dad, to go do hair (my side profession). Krew even mentioned to me that he wished I had a job so he could get babysat!! I was hurt but then I quickly put it in it's place. He was trying to tell me he knew I needed to do something for myself and that I wasn't happy. Kids respect when their parents do things for themselves and have healthy boundaries and I wasn't modeling that. I also know that I can be impatient and started working on that immensely. I now give my kids options of things I know we all like and can do together. If Krew wants to play legos and I can't stand the idea of it, I encourage him by saying something positive and then suggest we do something else I know he likes and that I KNOW I can also engage in. We've found a new love for board games, Just Dance, exercising, and cooking together. With Dash I genuinely enjoy playing with him because I know it's helping in part of his therapy and that is a huge motivation. Today for instance he was making his cars crash and was hurting my hands. I realized it would be a challenge for him to use the cars in a different way but I stayed calm and consistent and started modeling the cars racing. I never got upset, took the cars from him or told him No. I wanted to just walk away but before I knew it he was gently making the cars race and was laughing and patting the floor for me to join. I knew he needed a nap so I set a timer for 20 min and when the timer went off he was tired but I insisted together we clean up the cars and then rewarded him with his binkie and blankie. Now this was a STRETCH for me. I want to stress that. I had to tell myself the whole time that I was doing the right thing. It took me almost as long as him to enjoy our play but we both stuck it out. Even when I put him to bed he didn't go right down and I felt myself stressing because I knew he might get out of the bed but I stayed calm and went into his room and laid him gently back down and encouraged him to lay down and walked out. In the past I would have immediately gotten anxiety and became angry that he would not nap right on time and would be throwing off our schedule. But what would that do?! It wouldn't make him sleep, it wouldn't make me feel good and we would both be stepping backwards.